D.C.'s deputy mayor for education resigned after the mayor's office says she helped the schools chancellor bypass the lottery system. Jennie Niles and Antwan Wilson have both been referred to the D.C. Office of the Inspector General and ethics board. Niles' departure comes as two federal agencies investigate the school system following revelations of inflated graduation rates. 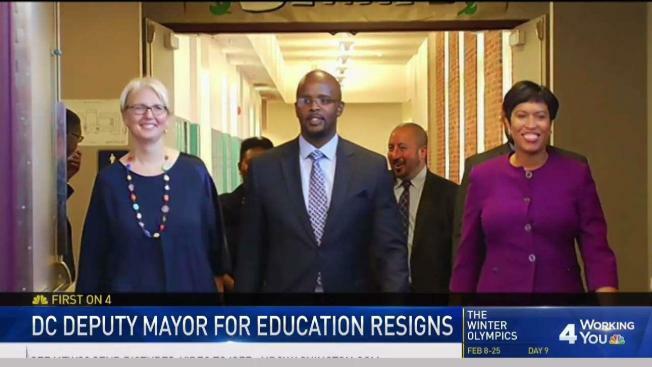 D.C. Deputy Mayor for Education Jennifer Niles has resigned after she helped schools chancellor Antwan Wilson bypass the public school system's competitive lottery system to secure a seat for his daughter at a top high school. Niles' departure comes after revelations that she gave one of Wilson’s children preferential treatment for an out-of-boundary school placement, in a direct violation of a mayoral order issued last year. Previously, two other appointees of Mayor Muriel Bowser were found to have abused the out-of-boundary lottery system. Parents who wish to enroll their children in schools other than their neighborhood schools must enter a lottery for limited spaces. 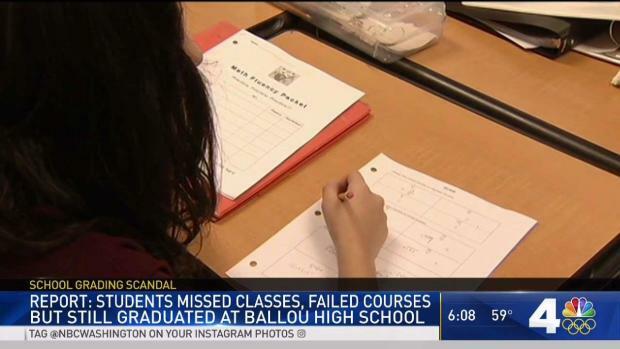 Ballou High School let students graduate despite low attendance and bad grades, an investigation shows. News4's Mark Segraves explains. Niles' departure comes amid a time of crisis for DCPS. The FBI, U.S. Department of Education and the D.C. Office of the Inspector General are investigating the school system following revelations of inflated graduation rates. Bowser said she was frustrated but believes in the future of DCPS. "There's every feeling, from anger to disappointment -- but also resolve," she told News4. According to a representative for Bowser, Wilson had entered his three children into the DCPS lottery according to the guidelines. His daughter was placed at Duke Ellington School for the Arts, an in-demand school. Wilson lives in the Brookland area of Northeast D.C., where students are zoned for Dunbar High School. Midway through the current school year, his daughter attending Ellington was having problems, and Wilson reached out to Niles for help. The report, conducted by an independent auditing firm, found the principal of Ballou High School, Dr. Yetunde Reeves, and at least one assistant principal pressured teachers into giving students passing grades, regardless of whether they did the work. News4's Mark Segraves reports. Niles arranged for Wilson’s daughter to transfer to Wilson High School, in direct violation of DCPS policy and the mayoral order, the mayor's office said. The schools chancellor's other two children go to in-boundary elementary schools. Bowser learned on Monday that the inspector general's office was investigating the placement of Wilson's children. She said she stood by the decision to ask Niles, not Wilson, to resign. "I recognize that the chancellor had what he thought was an untenable family situation, and he was trying to resolve it and trying to resolve it by asking his supervisor what to do," the mayor said. Niles and Wilson have both been referred to the D.C. Office of the Inspector General and BEGA for separate investigations. 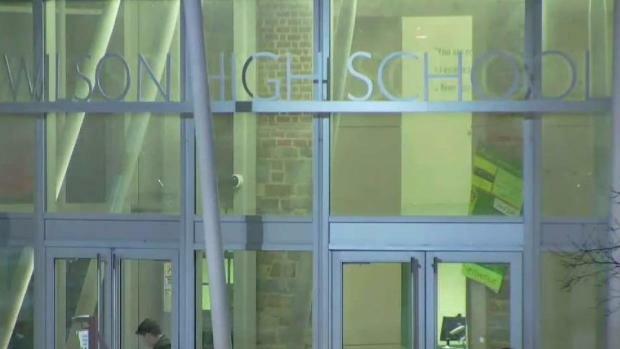 A D.C. councilmember says a report that shows issues with schools graduating students who do not meet requirements also shows a major problem with Woodrow Wilson High School's attendance rates. News4's Shomari Stone reports. Niles did not respond to inquiries from News4. Wilson declined to comment. In May 2017, two other Bowser appointees were found to also have circumvented the placement policy required for all DCPS students. A D.C. Inspector General’s investigation found that Bowser’s city administrator, Rashad Young, received preferential treatment in the school lottery for out-of-boundary placement from Kaya Henderson, who was chancellor at the time. Young had missed a deadline for entering the lottery but was allowed to enter anyway. That same investigation found that D.C. Deputy Mayor for Greater Economic Opportunity Courtney Courtney Snowden also received preferential treatment. Henderson placed Snowden’s son at Capitol Hill Montessori at Logan, a public school with a waiting list of more than 1,000 students. Snowden was referred to the Board of Ethics and Government Accountability (BEGA) for possible discipline. That investigation was completed; no wrongdoing on Snowden's part was found. Niles resigned effective Friday. She became deputy mayor in 2014, after Bowser was elected. She founded E.L. Haynes Public Charter School and attended Brown University and Yale University. Wilson sent a letter of apology to the DCPS community. "This September, my family faced a difficult decision where we felt that my child needed to transfer schools. I sought assistance on how to do this correctly, and as a result, my child was transferred to another school. 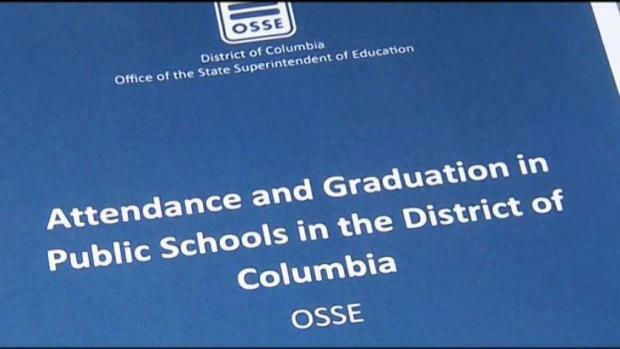 However, the process I followed did not align with DCPS policy," he wrote. "My decision was wrong and I take full responsibility for my mistake. While I understand that many of you will be angered and disappointed by my actions, I’m here today to apologize and ask for your forgiveness," he continued. "I am committed to regaining your trust and continuing the reforms needed to ensure that our students have the tools they need to succeed in the world." While Bowser is not firing Wilson, she has referred his case to BEGA for further investigation and possible discipline. BEGA has recently come under public scrutiny, after Executive Director Traci Hughes was removed from her position by the board of directors. Open government watchdog groups have cried foul on Hughes’ firing, citing the fact that the board members are Bowser appointees and Hughes had been highly critical of the Bowser administration over the years. Wilson's high-school-age daughter is likely to be home-schooled for the rest of the year.